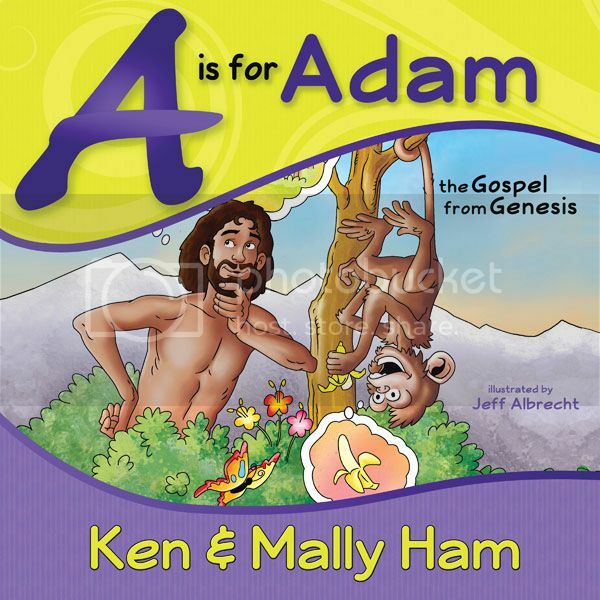 When the newly revised book, A is for Adam, by Ken and Mally Ham, came up as something I could review, my first thought was, "We already own the original, so this isn't something I need." I'm excited that I got to review it anyway. 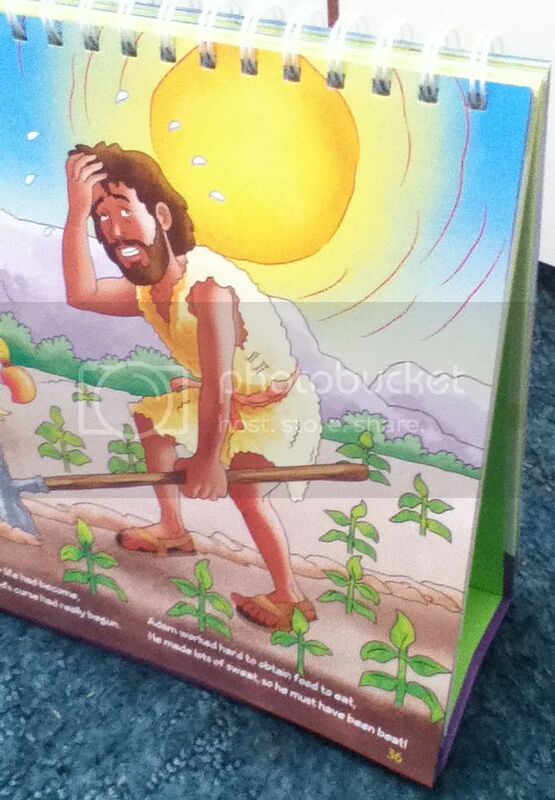 This 77 page book, directed at young children, consists of an ABC rhyming type of story about creation and the fall of man. 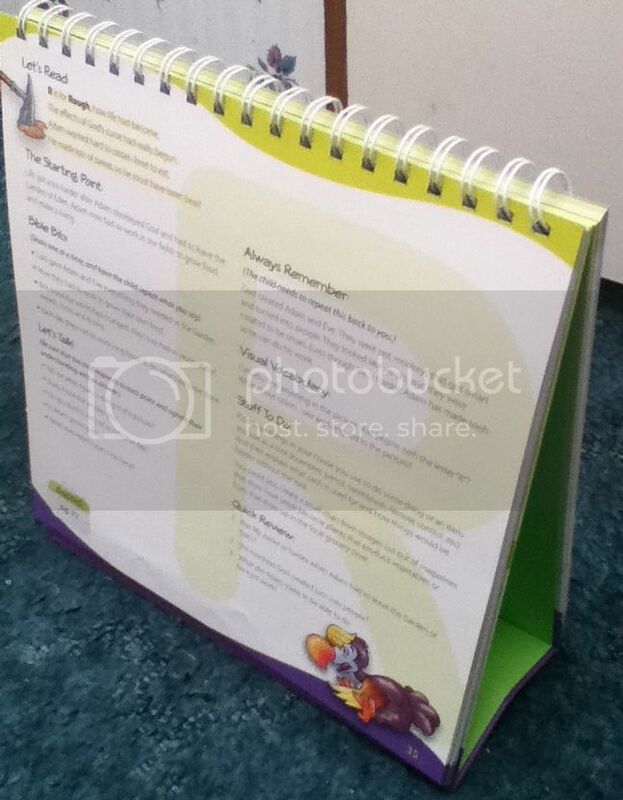 I can sit on the other side and see the text, plus a whole lot of ideas for discussion and some hands-on activities. This material was in the original edition too, but it is so much easier to use in this new version. We really enjoy this cute book, and I am donating my original version one to the church, as that one is still perfectly usable as well. I am going to post these as two completely separate giveaways. Enter one, enter both... totally up to you! Disclaimer: I received this book and one for a giveaway for free from New Leaf Publishing Group. No other compensation was received. The fact that I received a complimentary product does not guarantee a favorable review. This looks great. I have been leaning more towards my older kids with Bible time lately, so this would be great for the littles. And, it looks like we could easily share it with others after we've enjoyed it! My kiddo's and I LOVE reading together! Thanks so much! my son would love it! He loves reading his little Bible, but having a bigger book for him to look through would be wonderful.. I'm interested in this because it will teach my four year old a Bible story while teaching him the alphabet (which he is working on right now anyway). My daughter loves to read and I would love to have her read this one! I would like to win this book for my granddaughter to help teach her some biblical teachings. She loves to read books and have books read to her. I'm a Sunday School teacher. I am interested in this book because I have been teaching my preschooler about the Bible and it's hard to find good books for him that are appropriate. I love to teach religion with books. My boys and I read Bible Story Books every night before bed. I love to incorporate our faith into our daughters love of reading! We have three kids four and under and we are always looking for new and fun ways to share Biblical teachings with them. I think they would really like this book and that it would hold their attentions. My niece would love this book. 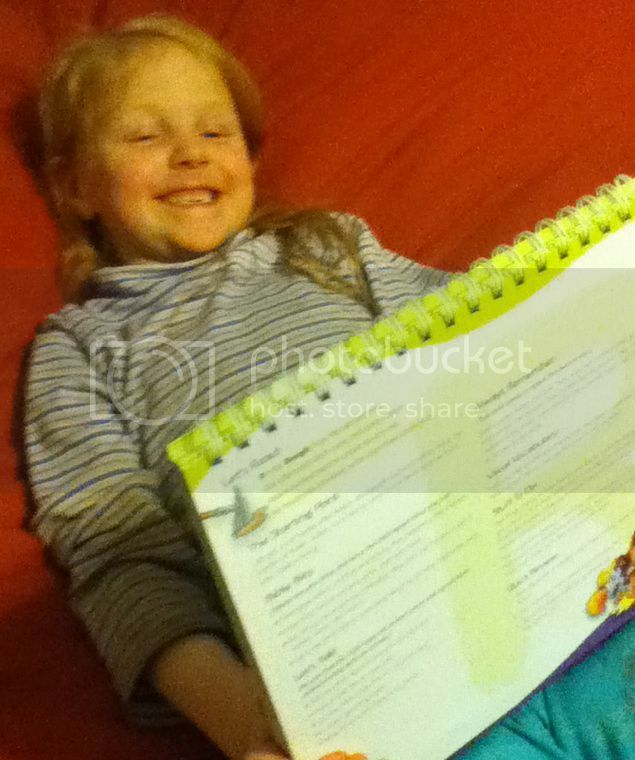 She and I have been working on her reading and she loves for me to teach her from the bible. Thank you for this wonderful giveaway. I think my boys will really enjoy this book! I am interested in the book because it seems to be able to hold the attention of young children while teaching them about the bible at the same time! This sounds like a great way to share Biblical stories with little ones. I love it!